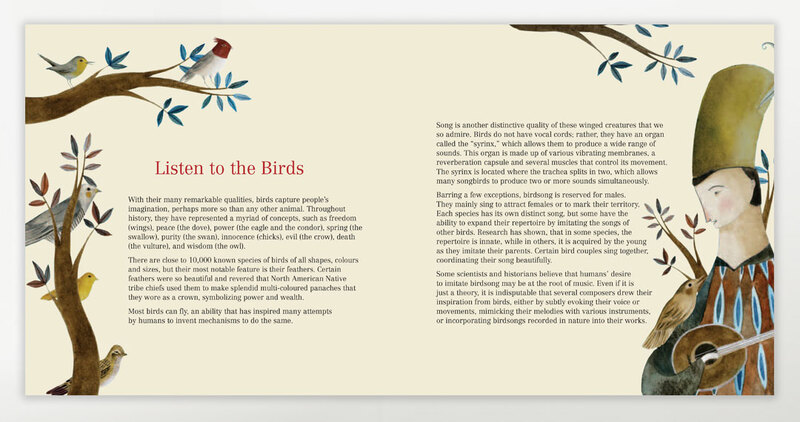 Throughout history birds have caught the imagination of composers and inspired their creativity. 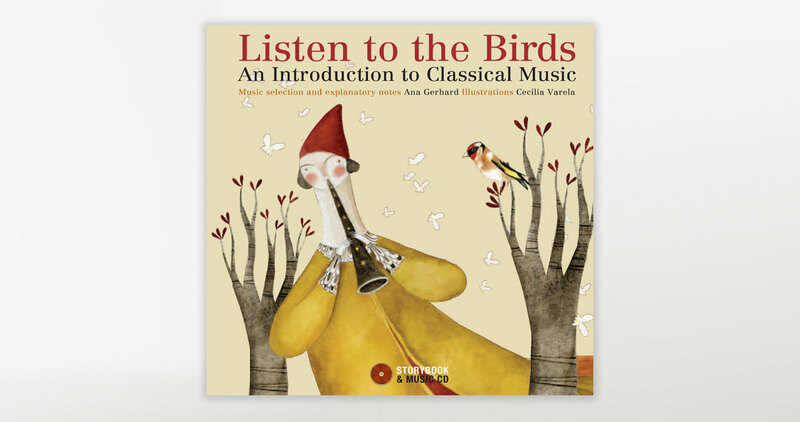 This selection of works by Mozart, Tchaikovsky, Vivaldi, and others introduces children to classical music through the discovery of the melodious similarities between notes produced by instruments such as the flute, the organ, and the harpsichord and the birds’ songs. 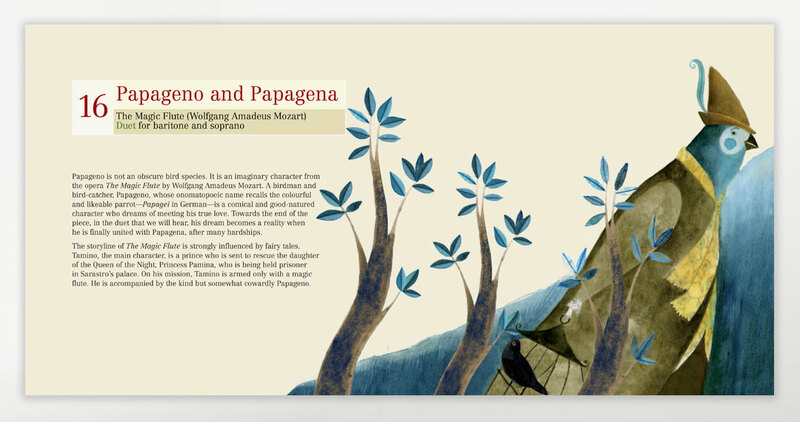 In addition to lovely illustrations, the book features a glossary of musical terms, a short biography of each composer, and a brief description of each bird evoked or mentioned in the composition. The accompanying CD offers excerpts of 20 different recordings performed by world-class luminaries including the London Symphony Orchestra, the Moscow Radio Symphony Orchestra, and the Toronto Chamber Orchestra. Cecilia Varela studied at the National School of Fine Arts in Buenos Aires. 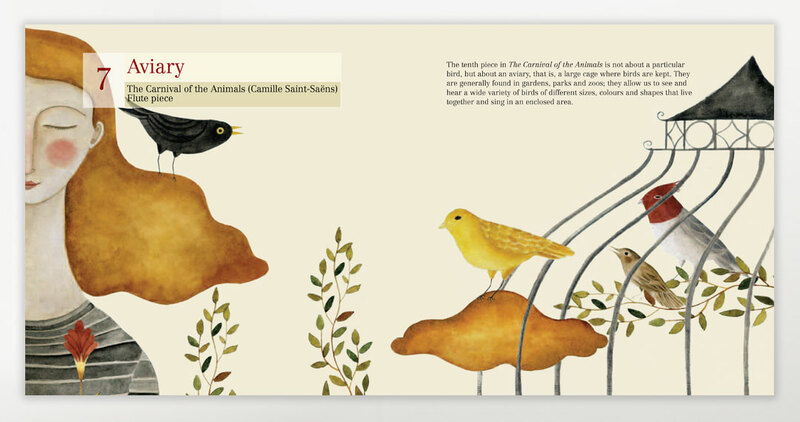 She has illustrated several children’s books and received the prestigious 2007 Conaculta Award (The National Council for Culture and Arts in Mexico) in recognition of her work.